In Andrew Haigh’s Lean on Pete, the image and idea of sprinting permeates much of the film. 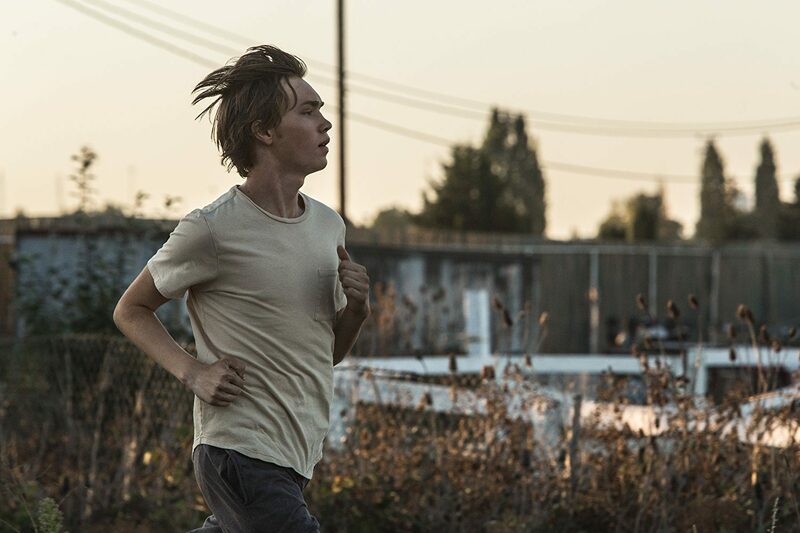 The movie opens on its teenage protagonist, Charly Thompson (Charlie Plummer), waking up in more of a shack than a house, and running throughout the underwhelming scenery of an almost dilapidated town in Portland, Oregon. Charly burns out in an empty parking lot, with not much to see or indicate a sense of an endpoint to his run. Later on in the film, the audience meets the racehorse Lean on Pete, a horse who has been run to the bone by his owner and is losing steam before his time. This idea of burning out after a short sprint comes to stand in metaphorically in the film for the obstacles faced through the coming-of-age, when youth are forced to face the adult world much too quickly before they are able to catch their emotions up to the intense events surrounding them. There are countless comparisons made throughout the film of Charly to the horse, at times as the underdog, with him being a built like a rail and wanting to try out for the football team, and other times dealing with the thought that he is one of the world’s cast-offs after he has to leave on a long journey in search of the only family he may have left. It is the quiet moments between Charly and the horse, walking across the desert and alone late at night, that allow Charly to catch up to the world and feel the weight of the road ahead of him. These moments are powerful and illuminating into the poetry of the character piece. It is when Haigh takes us out of these moments and into the frantic subplot characters of the wild desert landscape that the film loses its hold on the audience. Lean on Pete follows Charly as a teen in a new town with his drunk and deadbeat, but loving father (Travis Fimmel). Needing to find something to do over the summer, Charly finagles a job with a local racehorse owner Del (Steve Buscemi) where he meets the overworked and under-appreciated horse Lean on Pete. After his father’s recklessness catches up to him and gets him killed, Charly steals Pete, who is off to the slaughter, in an act of desperation and takes him across the desert to try and locate his estranged aunt, the only person he can remember that ever showed him true love and care. The rest of the film follows Charly on a coming-of-age Odyssey of sorts, meeting various local color along the way. Del, one of his jockeys Bonnie (Chloë Sevigny), and this local color trip up Charly, but also the story. The first half of the film, containing a confusingly structured first act, is populated by Charly’s growing relationship with Del as well as Pete. Once Charly takes off, though, Del is far in Charly’s rearview, never to be heard of again, ripping the audience from the emotional stock put into this relationship. From there, the people he meets and the events that occur seem to be ripped from a completely different film and exist in short and quick vignettes that string together in a dragging second half. Charlie Plummer though, the film’s star, carries the film through a quiet reserve of strong acting talent. Many scenes rely solely on a look or demeanor from him, and Plummer takes the image and atmosphere laden film into a deeply emotional character arc that holds the story together. While the second half of the film fails in terms of structure and pacing, Plummer still ekes out every moment of possible emotion and provides the audience with catharsis and closure by the story’s end. 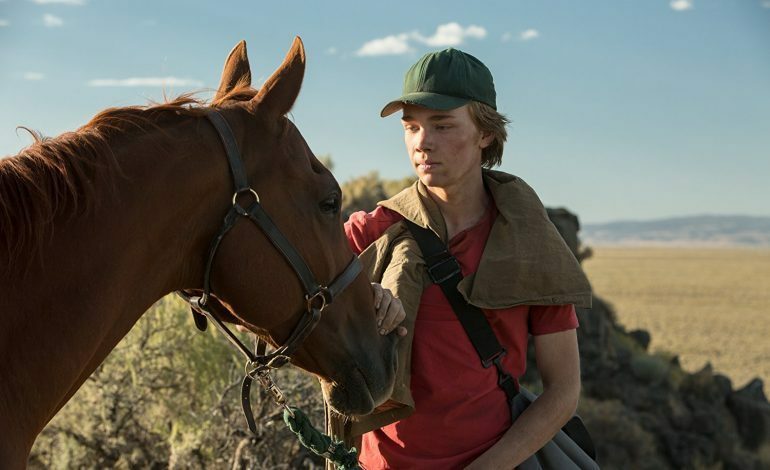 Andrew Haigh’s Lean on Pete will be a hit for any fan of coming-of-age slow burns. Don’t go into this film for the action, fiery emotion, or conventional construction, else you’ll be sorely disappointed. It is apparent throughout much of the film that it is an adaptation of a novel, where if Haigh had made some necessary cuts, the narrative would have flowed more fluidly onscreen. The atmosphere that Haigh does create, though, clearly has the filmmaker’s personal and elemental signature on it, as well as Plummer’s growing sense of humanity and depth within his performances.